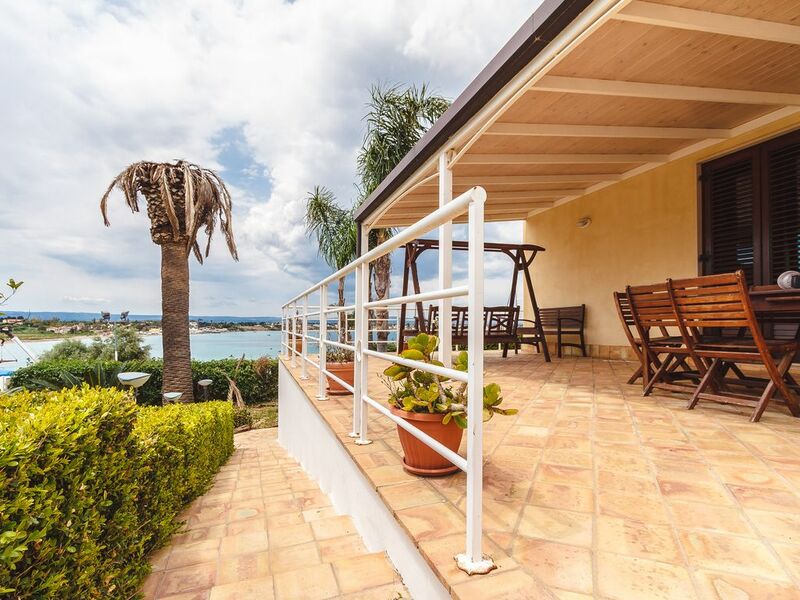 Villa Isola dei Dreams is an oasis of peace just a few steps from the sea and a few km from the center of Syracuse, ideal for a relaxing holiday. The villa has a built-in pool and electric gate for easy car access. This property, ideal for families, offers free private parking on site with electric gate, air conditioning, free wifi, a large veranda overlooking the sea with barbecue area, table with chairs and rocking and swimming pool. The villa consists of a large double bedroom, a bedroom with two single beds, plus a comfortable sofa bed in the living area. Equipped with two bathrooms, the master bathroom is equipped with bidet, shower and bathtub, with towels, hair dryer and products available to guests. Besides the large living area, where there is a flat screen TV, the kitchen is equipped with an oven, microwave, fridge, freezer, stove and coffee machine. Guests also have a convenient laundry with washing machine. Mooie woning. Mooie plek/ uitzicht. Eigenaar Gianmarco is erg behulpzaam. Bezoek is zeker voor herhaling vatbaar. Thanks, it was really a pleasure to have you as our guests! We hope to see you again next year!